Our Deflation call stands! 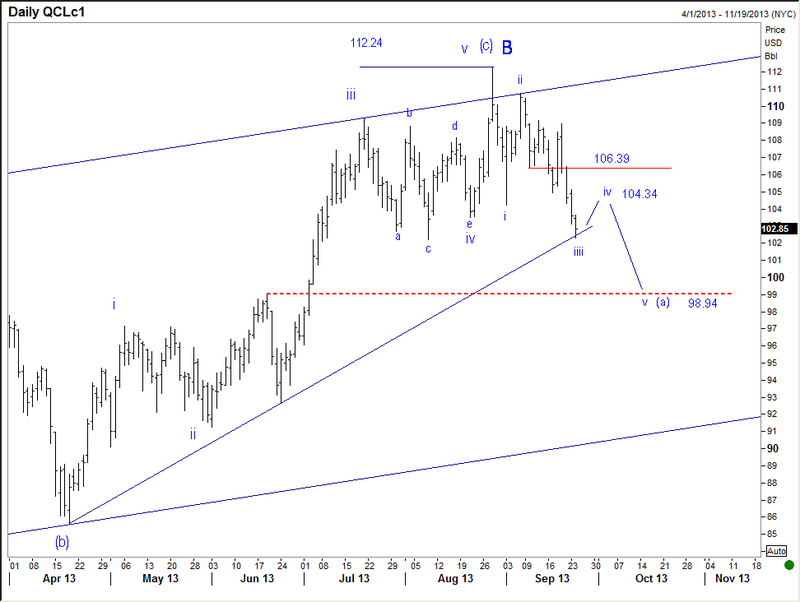 And it is why we got bonds and crude oil right. John Mellencamp can see it. But the average Keynesian-trained Ph.D. has a blind spot. Another jobs report and more questions abound about the underlying strength of the US economy. Not for us. We expected this continued malaise. It was part and parcel to our long position in US bonds and short position in crude oil for the subscribers of our Global Investor service. We continue to move stops to lock in open profit on bonds and oil. 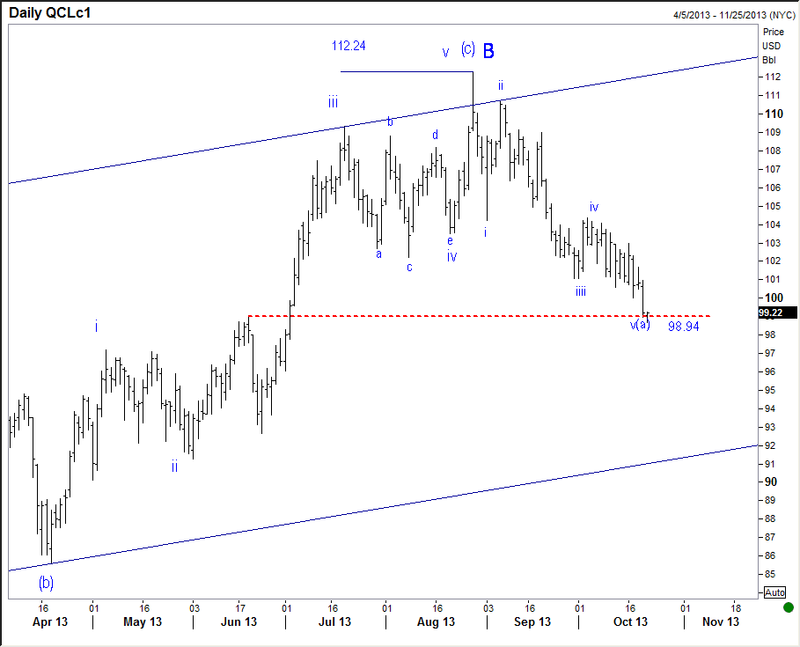 Below is a chart from the September 17th issue of Currency Currents. I said at the time, “I am looking for a bounce to 136^32 on the 30-yr T-bond futures.” Right about this time the consensus was hot for a big plunge in bond prices, i.e. soaring yields. The consensus was wrong it appears. 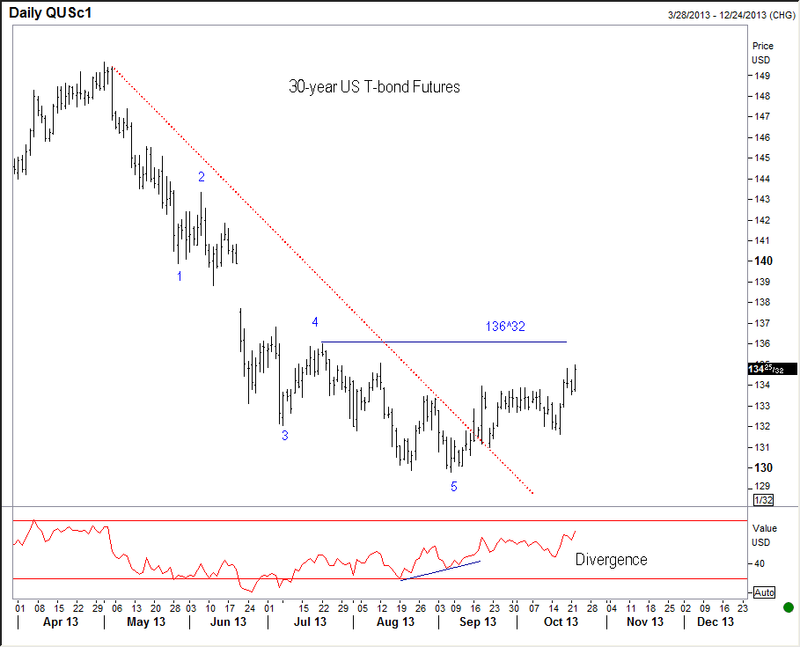 Bonds are sharply higher after the US non-farm payroll report; we are locking in some profits with adjusted stops. Regardless of the federal funds rate, banks set their own lending rates to customers. During economic contractions, banks can become fearful to make long-term loans even with cheap short-term money. In that case, they raise loan rates to make up for the perceived risk of loss. In particularly scary times, banks have been known virtually to cease new commercial and consumer lending altogether. Thus, the ultimate success of the Fed’s attempts to influence the total amount of credit outstanding depends not only upon willing borrowers but also upon the banks as willing creditors. Economists can't at the Fed’s occasional impotence and fostering credit expansion when they describe an ineffective monetary strategy, i.e., a drop in the Fed’s target rates that does not stimulate borrowing, as "pushing on a string." At such times, low Fed-influenced rates cannot overcome creditors’ disinclination to land and/or customers’ unwillingness or inability to borrow. That's what has been happening in Japan for over a decade, where rates have fallen effectively to zero but the volume of credit is still contracting. A key point the inflationist seem to miss is the fact reserves in the banking system are not the same as money on the street. And when people become fearful, their demand for money rises. This is why we often see the monetary aggregates, M-1 & M-2, either limping along or even falling, while bank reserves have soared. 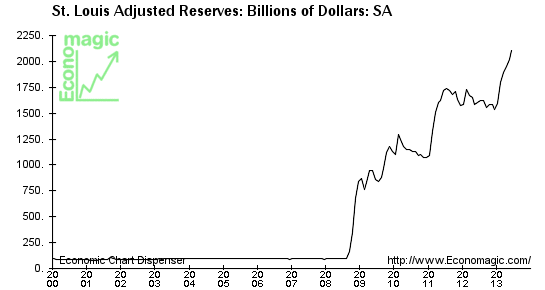 Banking Reserves: Could this be leaking into financial assets? You bet! 52-week % change in M-2: How could this be? Reserves are not really money! The inflationist will then leap to the next argument: Well, when things get going all that “money” [reserves] will come rushing into the real economy and hyperinflation will be upon us. Well, that is precisely the problem—when things get going. The attempt by government and central banks to get things going has been a massive burden of debt layered upon the economy [not just in the US, but in every major economy across the globe]. The burden of debt at these massive levels severely hampers the market from “getting going.” The first step to alleviating this burden is through the market clearing all this malinvestment. And how does it do that: deflation. If you are interested in subscribing to our Global Investor service, you can learn more about it at this link. Newer PostA Road to Serfdom – We are traveling quickly down that path. Older PostThe Dollar is Doomed? A new currency order. The Chinese yuan replaces the buck. A new Black Swan currency service.